Thanks Clara, that one is easily missed. I always knew there was something suspicious about that place, but didn't realize what had to be done. Will some one get me thru this part? I finally killed all the guys, but the door is still closed and if I go to try the button she blows up. What is the trick? You need to reload game before soldiers ran out and made a mess with explosive. Instead of that you need to crawl to the key. There will be only one soldier to kill then, and button & doors will work. I finally did it...the video sucked. Thanks for help. I did it!! I seem to be stuck again in the Tower level. I have the bloody hand but can't use it because the reader is covered by a shield. The dog won't take the food, and I've run out of things to do. I think I should mention I have the laser sight but not the revolver. I hope this isn't a problem, because in the Terminal, I used the shotgun (instead of the revolver/laser combo) to explode a camera and gain access to a room with an armed guard and a guy sitting at a desk (he didn't do anything). If the dog is still asleep then you haven't filled the tank of the plane yet. I suppose you haven't even produced the biodiesel yet. Outside the PIPER hall there is a grey van. It belongs to "Löhrlein System Technik" and can be opened with the metal bar. I did see the revolver and ammo on the left box at the customs office. 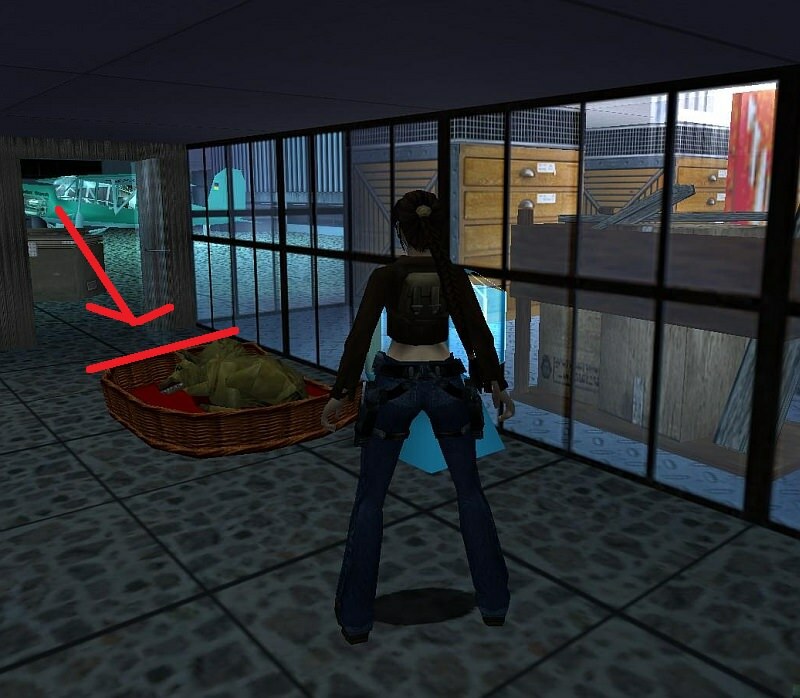 But when Lara picked up her pistols from the right side and wouldn't jump on top of the left box, I thought the revolver and ammo were just items left there for visual effect, like the many items on the shelves throughout the level. I shot the camera with the shotgun. I did try to use "action" on many of the vehicles but when I checked several of them and nothing happened, I quit checking. Thanks to both of you....I am moving forward again. Stuck again....I'm in the biodiesel mixing room, I have both oil cans, there is 1 liter of oil in the large can. I have the empty fuel canister. I have a container of glycerin. The needle on the scale is in the green part of the scale. I thought I would be leaving here with a fuel canister of biodiesel, but the glycerin won't mix with anything. What have I missed? TheBoo - you must fill the empty canister. In the corner of the hallway there's a yellow tap. And moreover you need a pipe for the canister. You will find this in the building next to "Löhrlein System Technik". You can open its door with your metal bar. I have 4 litre of oil in the large can. Still can't mix the glycerin and the oil. I have filled the fuel canister from the tap in the corner of the room. I went next door to the hangar, I've been in there several times and I still don't see how to get to the switch to raise the motor to get the pipe. I shattered the railings around the upstairs offices with the revolver, and that's all I've been able to do there. There appears to be a movable crate that I could use to get to the switch, but it's behind a grate that won't open. I know I'm being slow, my apologies in advance.